Santrauka: This collection of essays provides a representative cross-section of the philosophical strands and aspirations present today in the Baltic sea area, particularly Estonia, Finland, Latvia, Lithuania and Poland. 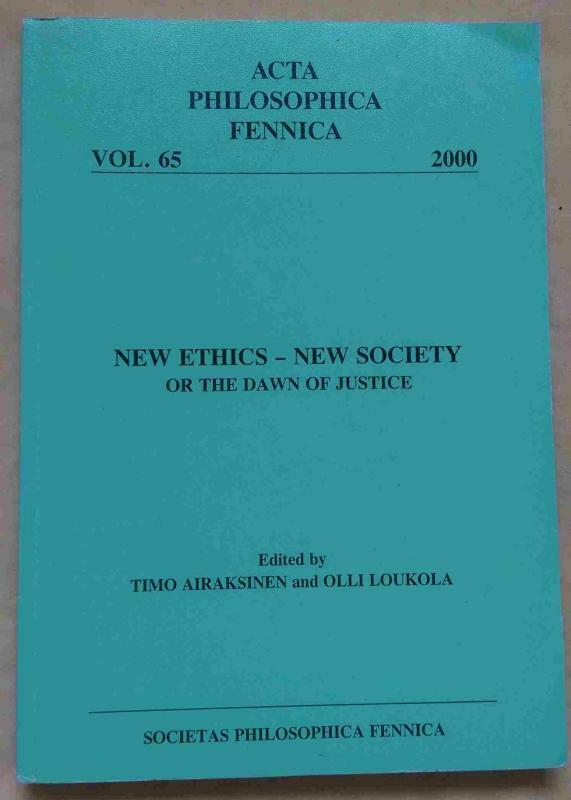 Most of the papers were presented originally at the conference "New Ethics - New Society or the Dawn of Justice" organised by the Department of Social and Moral Philosophy of the University of Helsinki in Autumn 1997. In order to offer a wide enough picture of the kind of philosophy practised in the Baltic Sea region this collection has been supplement with additional new essays. In these essays one can detect a variety of philosophical, theoretical and methodological strains ranging from a typically Finish Anglo-American orientation through Polish praxiology to European post-modern philosophy, from theories of justice through problems of practical life to philosophy of culture, among others. All these indicate the rich philosophical background and heritage that has existed in these old European countries over the years and which is resurfacing in Poland and the Baltic States again. A central emphasis in the topics here are the new challenges for these societies, whose acute ethical, economic and political problems have particularly taken the form of justice and tolerance as well as responsibility and trust. A second notable orientation to be found here is the search for those common cultural and societal roots which were neglected or even subjected to persecution for five long decades.